When I open my closet, I see colors that I love and have finally figured out...what colors make me joyful. I will be the first to admit ....YES ...I do have a collection of black and white blouses and slacks that I cannot live without throughout all of the seasons. However, the minute the seasons change....my closet takes on a life of it’s own...Turquoise, azure, chartreusse, pink... a color flash lifts my spirits and come autumn.....More Crimson! Neutral interiors with a beautiful antique piece next to a contempory item or accent changes something instantly. Art and paintings add color and interest.Textures, textiles, pillows and fabric add another sensory level. Don't forget the light....Open the rooms with natural light to awaken your soul in the morning....use lamps for direct and indirect lighting...Think outslde the comfort zone with lighting in usual places....(Think closets, and laundry rooms) Use mirrors to reflect the colors and add depth to an area...Make certain the mirror reflects a grouping or interior and not a ceiling. Bring nature into your home whenever possible. As Always....Design is in the details! Vocabulary.Com Dictionary defines "Redux", a Latin term, which means "Brought back or Revived" . After two years....I have chosen to be 'brought back' and 'revived' into the blog experience. I have always liked the word"redux, redeaux"..it is a lovely word. It is certainly time for me to get my blogging "ducks in a row". In the time of painted wood finishes, minimalism and mid century revival...Antiques can blend and add value and interest. ONE quality piece can be a treasure for even the most minimal-minded. 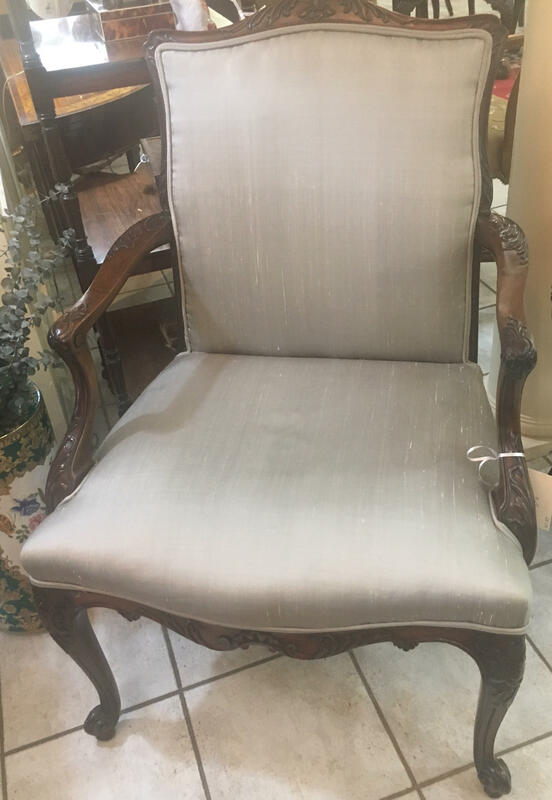 Often a simple change of fabric can transform a piece by adding crispness and renewal. As Always....Design is in the Details! If you cannot attend Wimbledon…Come to Pickwick…We celebrate the UK Everyday! FROM TEAPOTS TO BREAKFAST AND TEA SETS...PICKWICK IS ALWAYS READY! 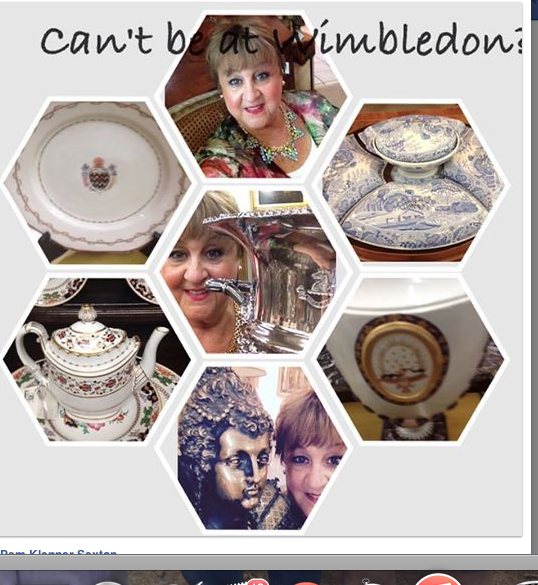 We carry all silver that would be a perfect addition for your home as well as a Wimbledon Champion....Love armorials and family crests...come see our antique collections. Step back in history and you may find HRH Elizabeth the First looking over her own special court! 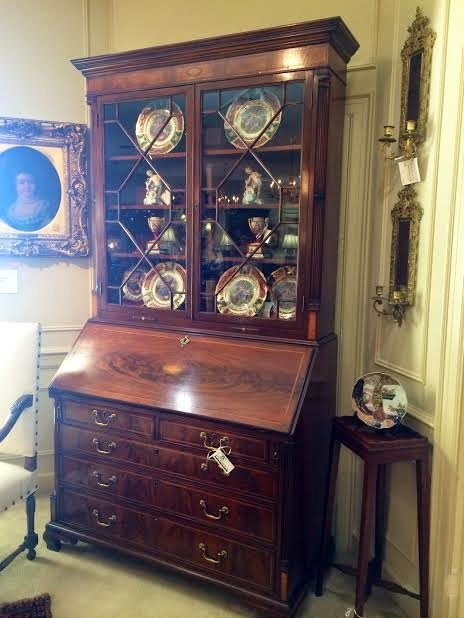 I can picture Lady Fiona Carnarvon, the Eighth Countess of Carnarvon using this beautiful Bureau Plat as a desk. The Countess was the featured speaker a year ago for the design conference that I attended.I recommend the two books which she has written. 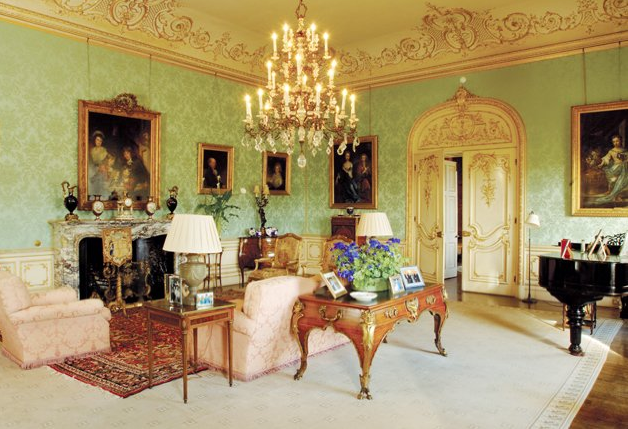 These books will enrich your knowledge of Highclere and its place in history. Note the exquisite pieces in this room that are, like the bureau plat, quite European. The wealthy of the time imported much of their furniture from famous European makers. Each month we have a shipment of New Arrivals that come to our store! Today I wanted to share a few that came in our last shipment. I hope you have a wonderful weekend! 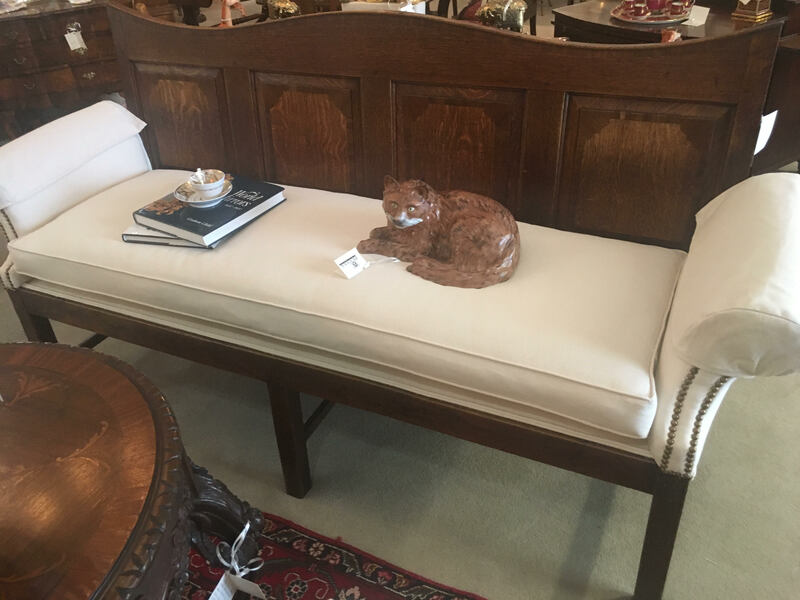 Come by and see us at Pickwick Antiques to view all of our New Arrivals! It is very important to first define what a Fine Antique Piece is. 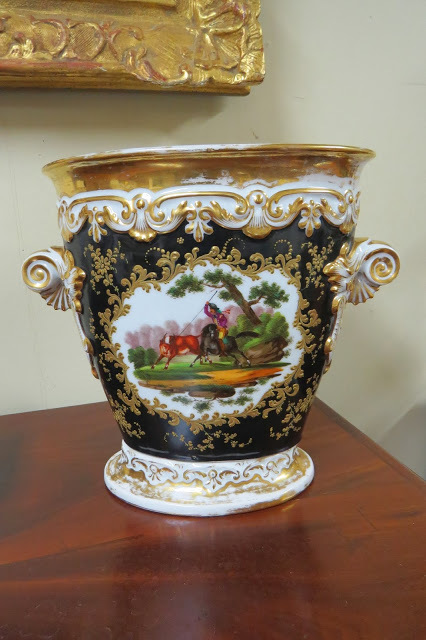 Fine Antiques are objects that were made in an earlier period. 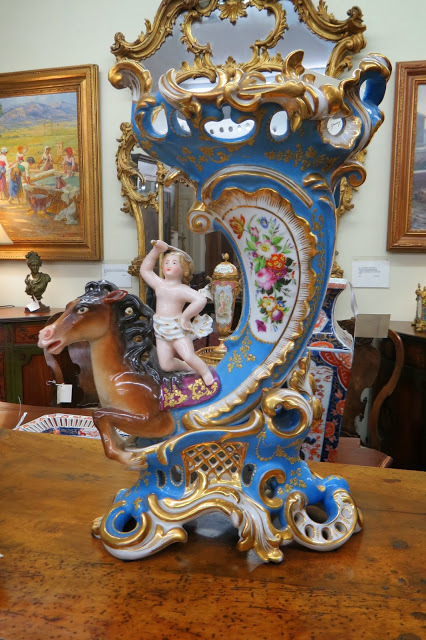 At Pickwick Antiques these periods are 18th, 19th and 20th Century French and English. A few of the many styles include: Queen Anne, Georgian, Chippendale, Hepplewhite, Sheraton, Empire and Regency. When you see a Circa date on one of our pieces that means that we know the time period from which the piece is from. 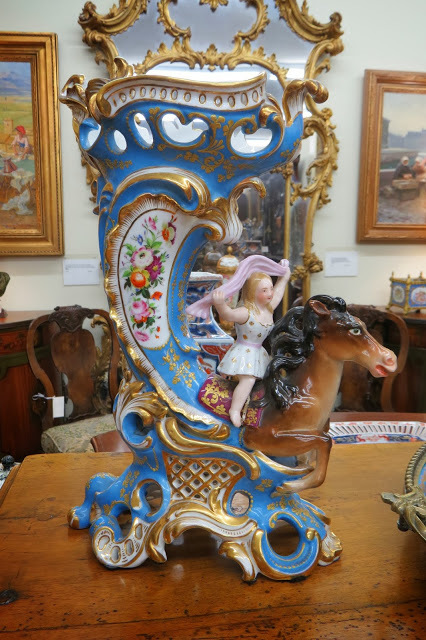 When investing in Fine Antiques it is important to visit several different antique stores in order to see the difference in reproduction pieces and the quality of the finer pieces. Always educate yourself by seeing these pieces in person. 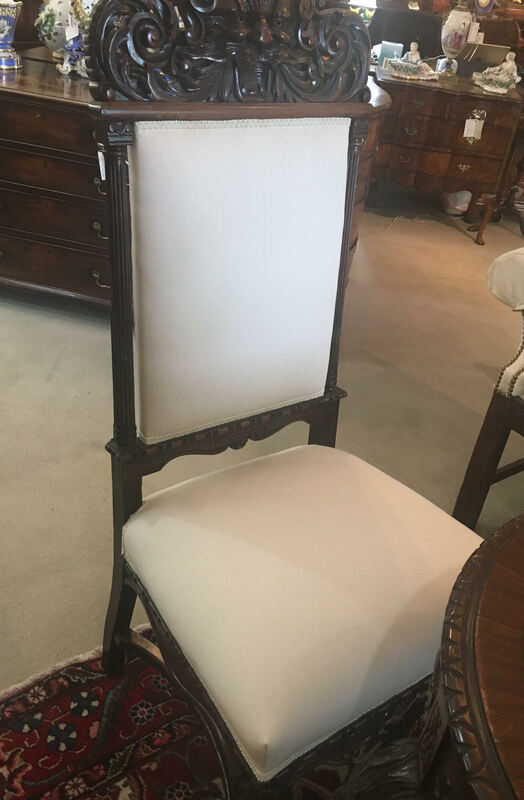 When you make the decision to invest in a Fine Antique piece you are not only purchasing a beautiful, unique, high quality craftsmanship piece for your home or office but you are also investing in a highly collectible item that will be valued for centuries to come. 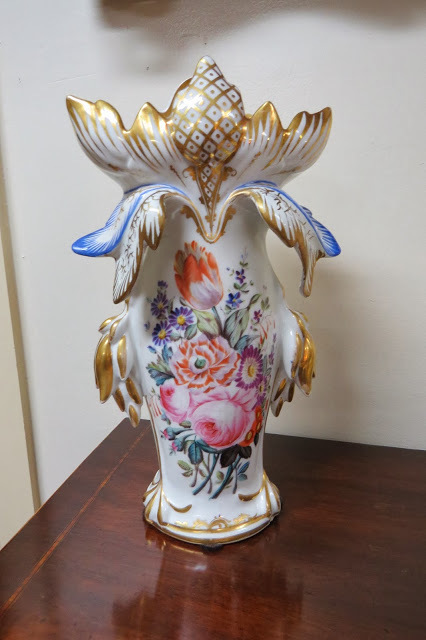 A few of our highly collectible items include Rose Medallion, Minton Majolica, Old Paris Porcelain, Tantalus Sets from the 1800's, Fine English Bookcases, Imari, Period Armchairs, Tea Caddies, and the list goes on. Come visit us at Pickwick Antiques at 3851 Interstate Court Montgomery, AL off of Perry Hill Rd. 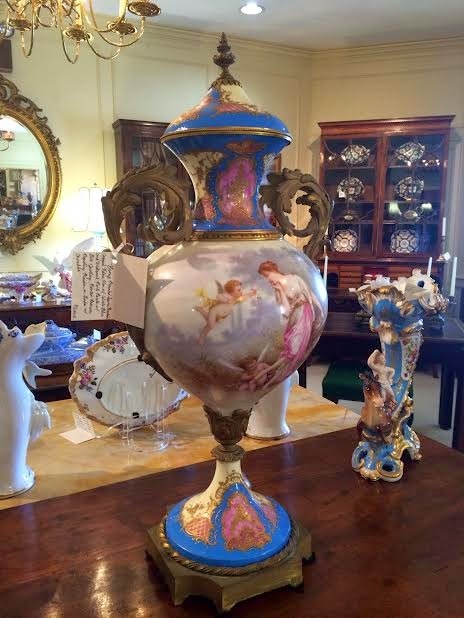 to view our world of Fine Antiques! 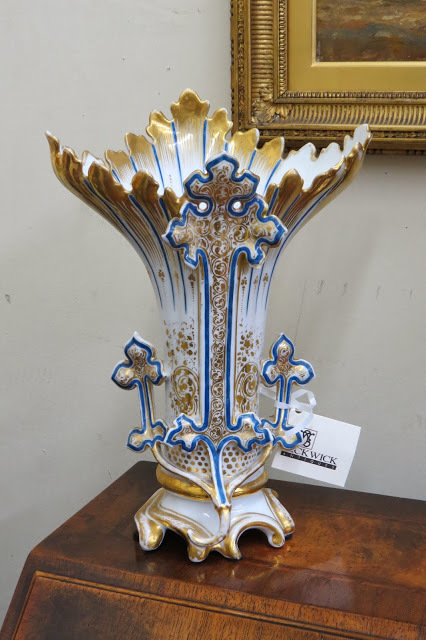 Our large collection of Old Paris Porcelain here at Pickwick Antiques has always been a favorite of mine. 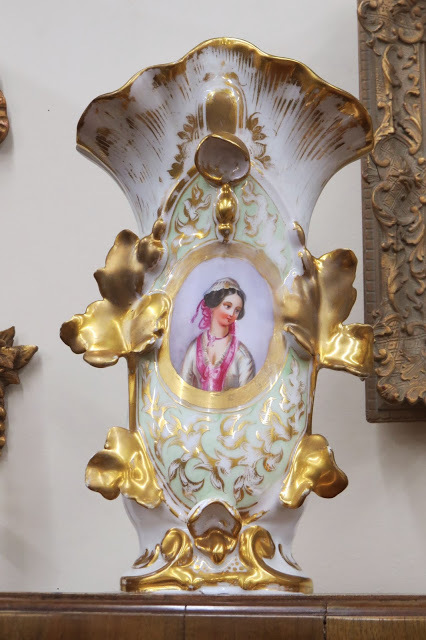 The beautiful gilding, paintings and decoration make these pieces ones that are not easily forgotten. 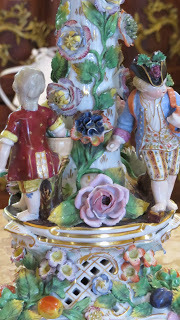 According to the blog - http://antiques-everyday.blogspot.com collectors all over the world and especially those in antebellum homes in the South seek out these beautiful pieces of porcelain. 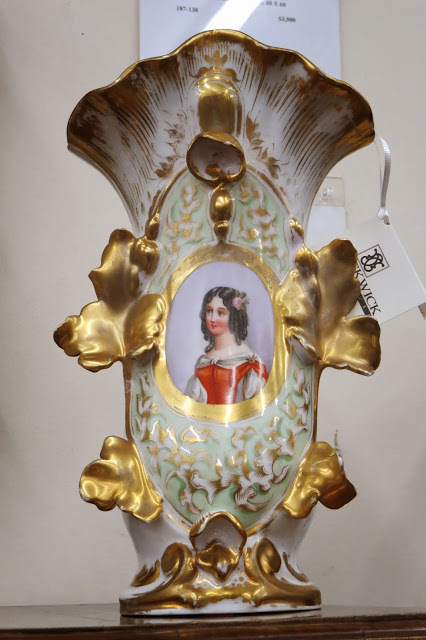 Old Paris Porcelain can also be known as "Vieux Paris". 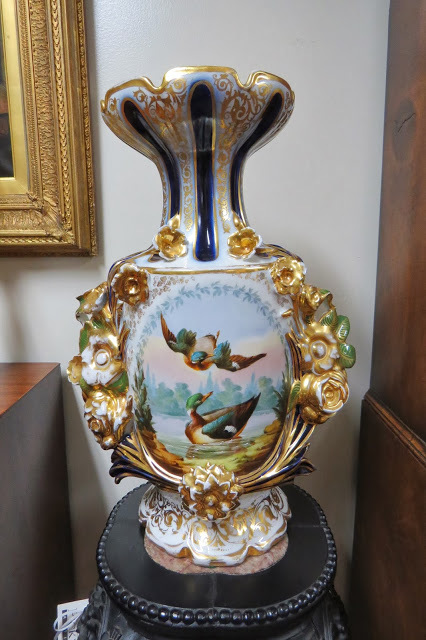 These pieces can be found as vases, urns, clocks, figures, inkwells, perfume bottles, and more. Old Paris pieces were created in and around the city of Paris from the mid 1700's to the end of the Second Empire. 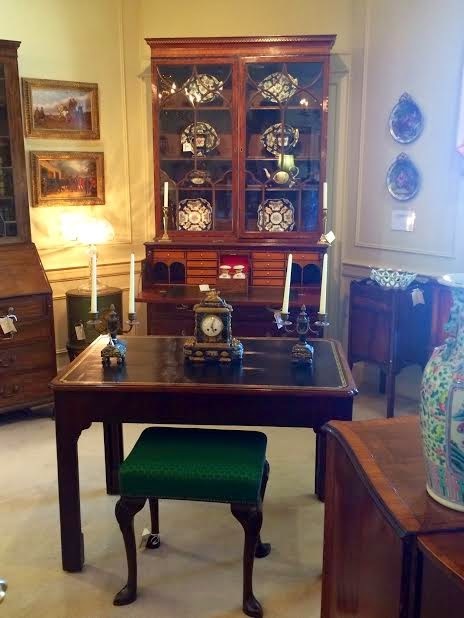 Here's a look at some of our collection here at Pickwick Antiques. 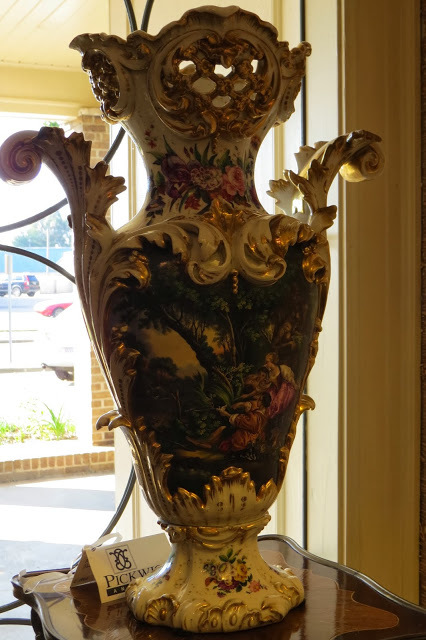 (Above) Pair of Old Paris Porcelain Vases with Multicolored Floral and Gold Gilt Decor. In the season of Spring! As an Easter person, I am reminded of this: Psalm 24: 1 The Lord owns the earth and all it contains....The world and all who live in it. 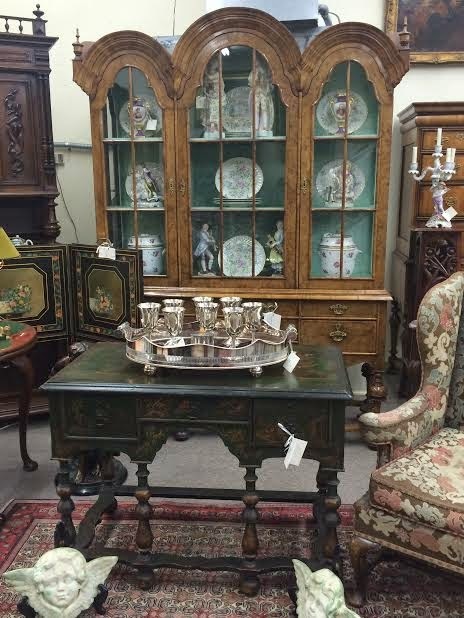 Enjoy the "Spring " Season at Pickwick Antiques. And....as Always...Design is In the Details!